Don't let summer slip away without learning something new! 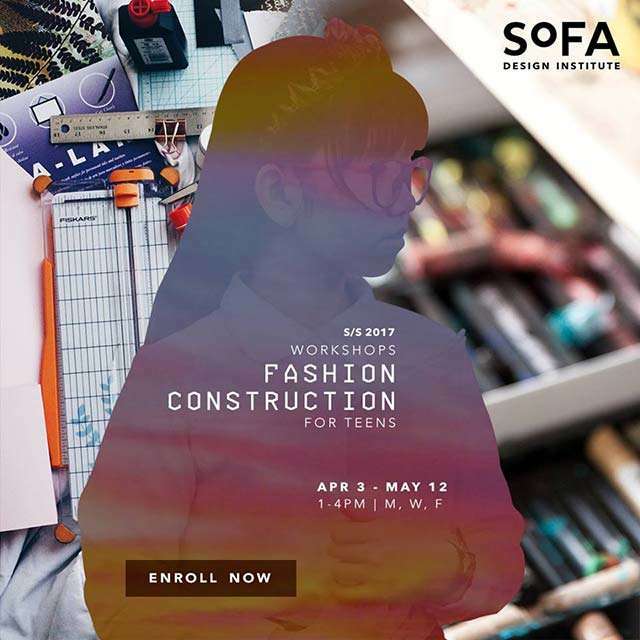 Get ready to be creative and productive with the latest summer course offerings from the School of Fashion and Arts (SoFA). Mark your calendars and enroll now! 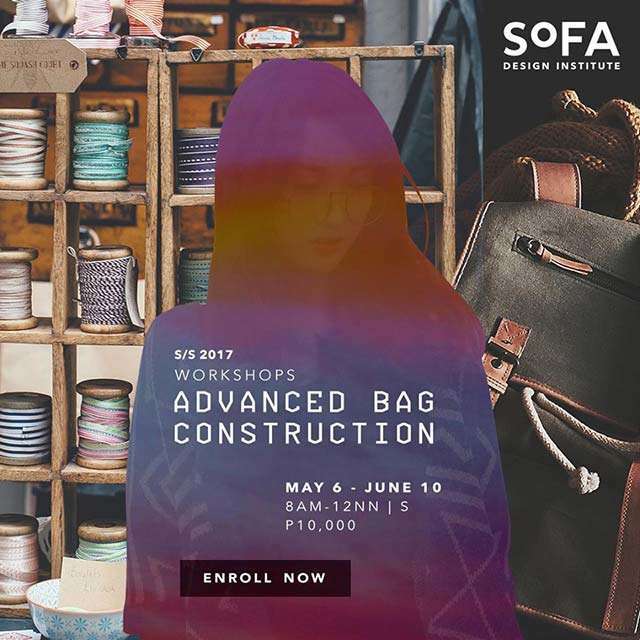 Course Description: The course is an eight-week workshop that consists of lecture and lab work covering a more in-depth understanding of bag construction principles, paper mock-up of complicated silhouettes, pattern-making, and selection/sourcing of materials and tools. 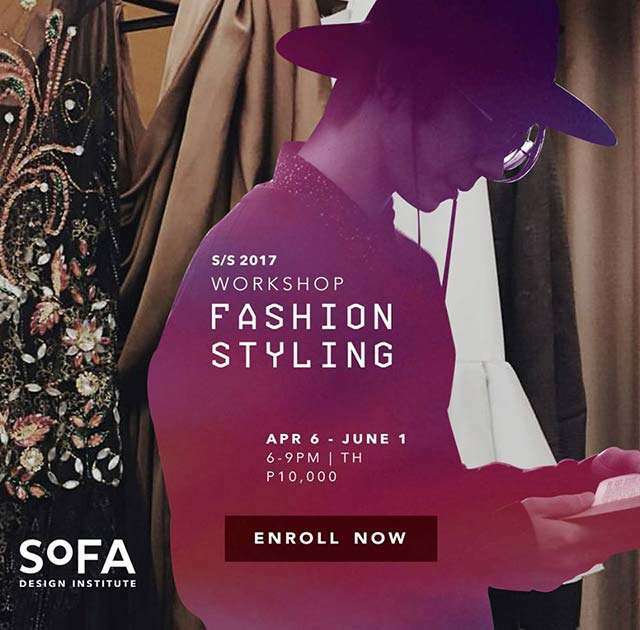 Course Description: Learn the various business formats of the fashion industry in a summer workshop on How to Start a Fashion Business. 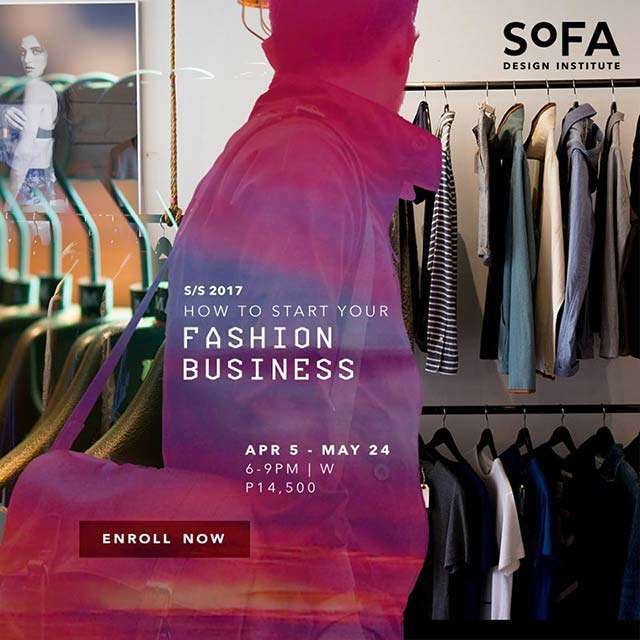 Be guided into how one can start a small fashion business whether in fashion manufacturing, design, marketing, or the retail sector. 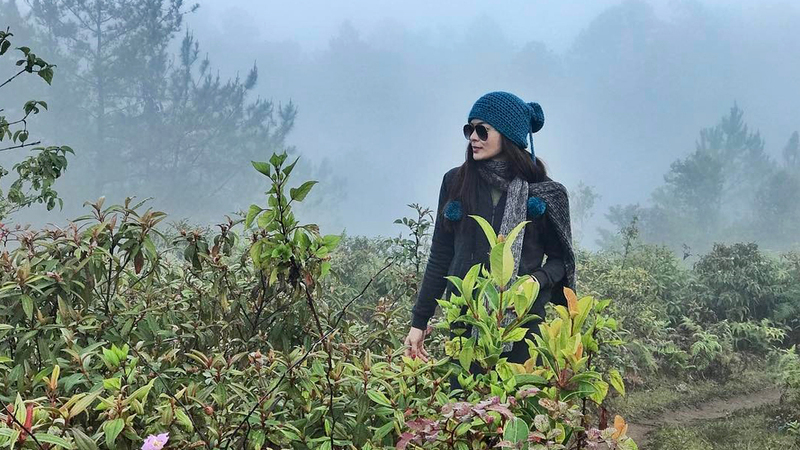 This is your first step in starting your own fashion business. Course Description: In this course, students will gain introductory skills in illustration. Students will likewise learn pattern-making, sewing, fabric cutting, finishing, fitting, and embellishing. At the end of this course, students will be embellishing their circular skirt and shift dress creations. 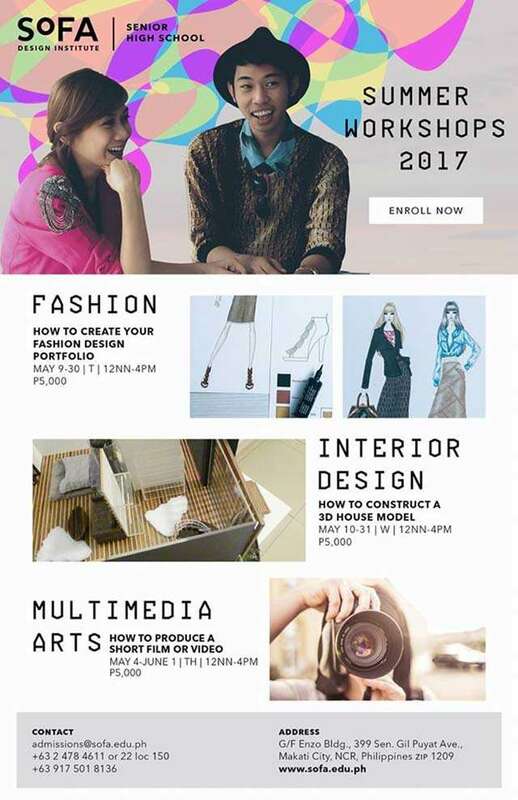 Course Description: Start your foray in fashion design through a workshop in Fashion Construction for Teens. 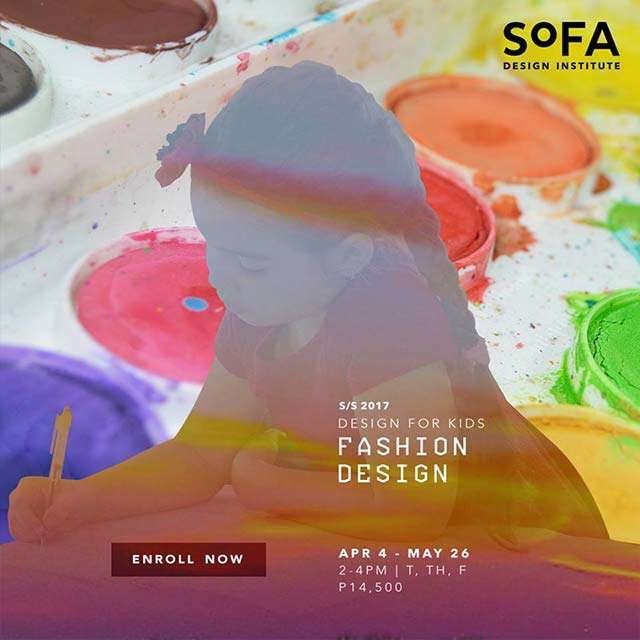 Be introduced to basic fashion drawing, pattern-making, and sewing techniques. Students will be able to create an A-line reversible overlap skirt, put a button and button hole, make a simple extended sleeve blouse, garter-waisted jodphur pants, and an embellished spaghetti blouse. Course Description: The workshop consists of lectures and activities that introduce students to the world of fashion and fashion styling. 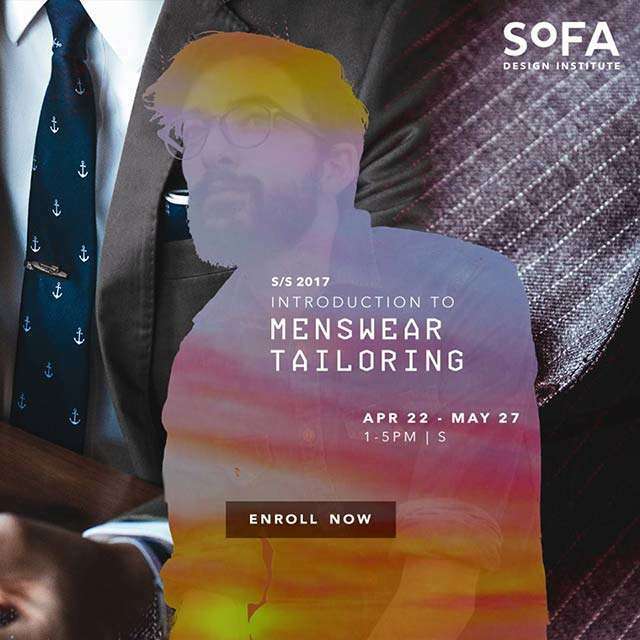 Course Description: Get to know the art of bespoke suits in this 6-week workshop on Introduction to Menswear Tailoring. This course will introduce you to the art of pattern cutting for men's suits. Learn to use basic patterns to create suites and trousers. 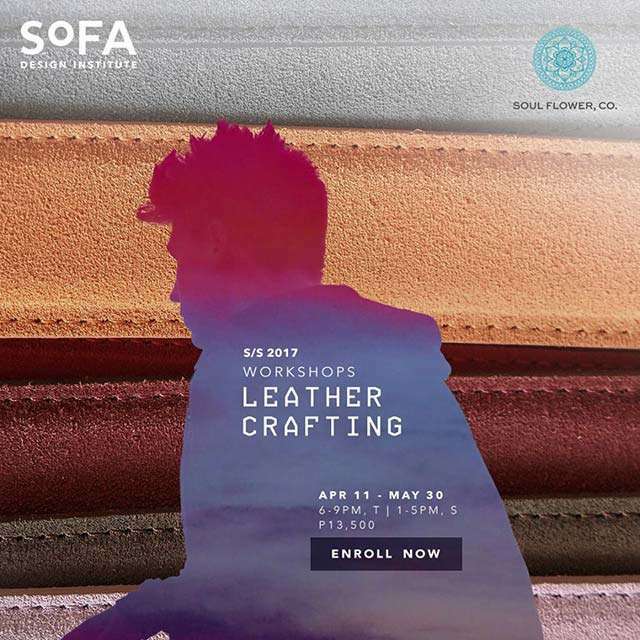 Course Description: Interested in the art of leather crafting? 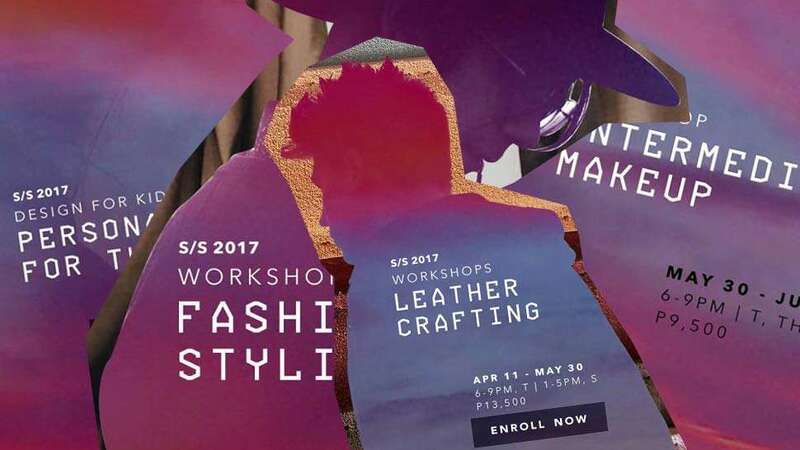 Join a comprehensive workshop that focuses on leather and the various manipulations that can be done by hand. Students will be guided in making a magic braid bracelet, a personalized luggage tag, as well as a pouch for credit cards/calling cards and a lot more. This course will prepare students to appropriately use leather in the execution of their original designs. 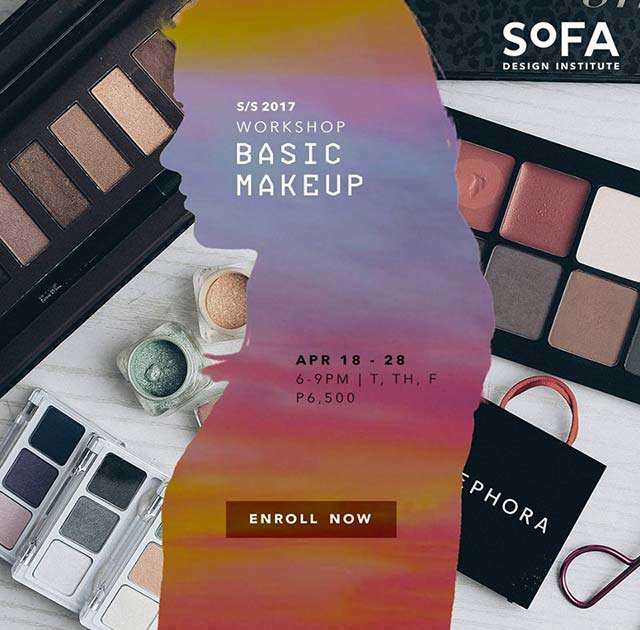 Course Description: Makeup enthusiasts are highly encouraged to take one of these best-selling workshops: Basic Makeup in partnership with MAC Cosmetics helps you learn the basics of makeup application. 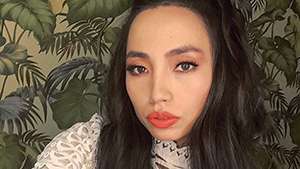 Delve into the different makeup looks for various occasions and categories such as editorial, bridal, theater and film/commercial, as well as proper tools and the latest trends. 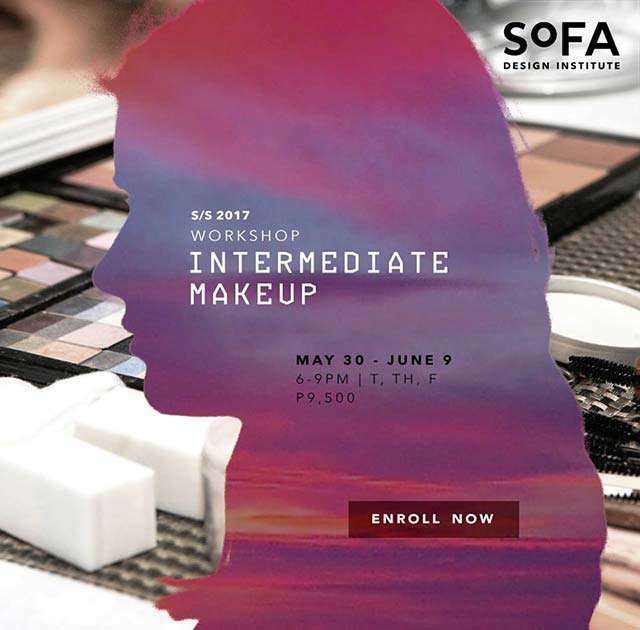 Course Description: Time to step up your makeup game with this MAC Intermediate Makeup workshop and begin that career as a makeup artist! Learn more in-depth techniques on bridal, editorial, TV, and avant-garde looks. 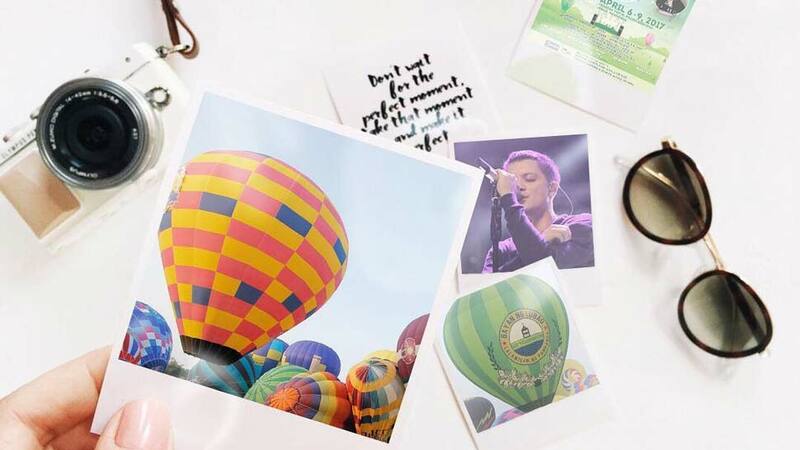 Students will receive a gift from MAC Cosmetics worth P2000 and a culminating trip to the MAC Store. Interested to get busy this summer? 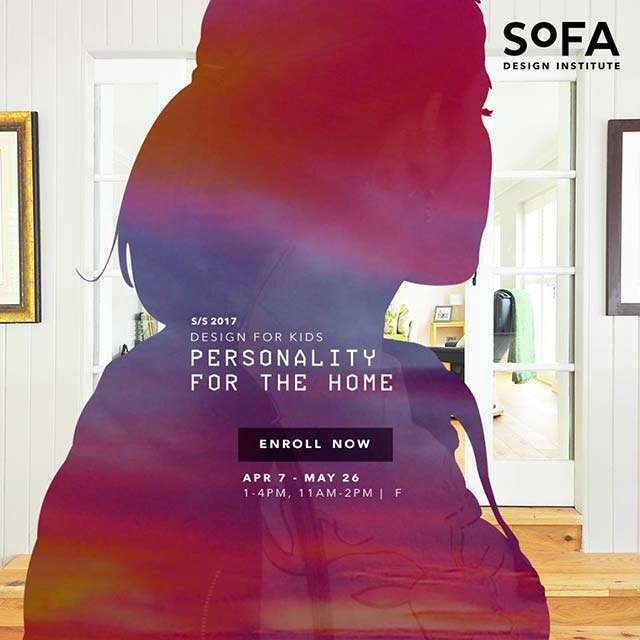 Contact SoFA's Admissions Office at 4784611/22 local 115/117 or 09175018136, or email admissions@sofa.edu.ph. Visit their site too, for more information.